Nissan has been investigating potential improper practices by Ghosn and Representative Director Greg Kelly, a Nissan board member, for months based on a whistleblower report, according to Reuters. Ghosn is also the CEO of Renault and chairman of Mitsubishi. Nissan is cooperating with Japanese prosecutors. 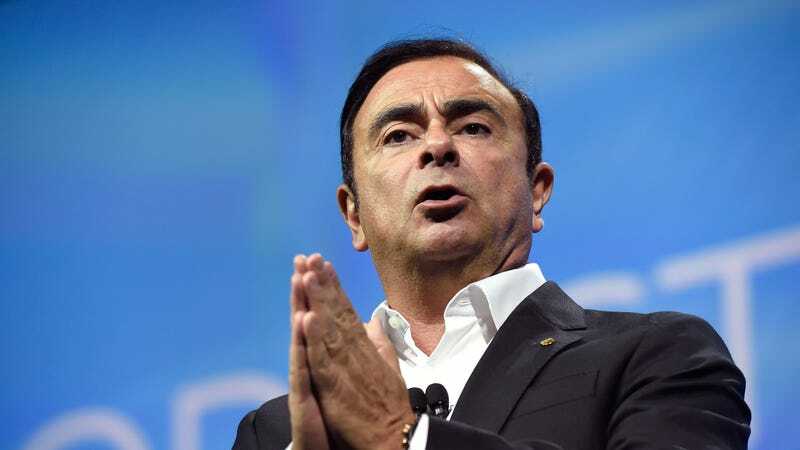 In a company statement, Saikawa has proposed to the board of directors to fire Ghosn, which Saikawa said at the press conference could happen as soon as Thursday, when the company’s board meets. After an internal investigation, Ghosn had supposedly underreported his compensation to authorities for “several years,” according to the New York Times. Shares in Renault have fallen over 12 percent in Paris trading, while Nissan shares in Germany fell 10.9 percent, reports Financial Times. French president Emmanuel Macron says that, as a 15 percent shareholder of Renault, “the state will be extremely vigilant on the stability of the group and of the alliance,” according to Bloomberg. The French government denied reports that it might sell its Renault stake in Nissan in March, according to Financial Times. Ghosn became COO of Nissan in 1999 after Renault and Nissan formed the Renault-Nissan Alliance, in which Renault bought a 36.8 percent stake in Nissan. He became the CEO in 2001. At the time, Nissan was on the brink of financial collapse. Ghosn made sweeping, cost-cutting changes by shutting down five domestic factories and cutting 21,000 jobs. His nickname was “Le cost killer.” Under his leadership, he was able to grow Renault and Nissan into competitors that took on Volkswagen and Toyota. In 2016, Nissan grabbed a 34 percent stake in Mitsubishi Motors and Ghosn became chairman of the company. Just a year later, however, he stepped down as CEO of Nissan, but retained his roles as chairman of Nissan and Mitsubishi and CEO of Renault and Renault-Nissan Alliance. Nissan found itself in a scandal last year that involved unqualified employees conducting final vehicle inspections of Japanese market cars, which violates the rules of the Japanese Transport Ministry. Nissan had to recall 1.2 million cars and shut down domestic production. It was reported that these improper inspections could have been going on for as long as 40 years. Correction: Ghosn is Nissan’s chairman, not CEO. The headline has been changed to reflect this.